adventurous trilogy of books that is perfect for boys 7-11. As a 10 year old boy, it was hard to get me to focus on anything for long... let alone a book. 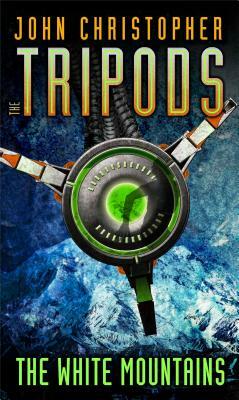 There were forests to explore and lakes that must be jumped into, but one series that got my undivided attention was the Tripod Trilogy from John Christopher. The first book in the series, White Mountains, begins in a small English village. The rich descriptions give you the feeling that the book is set in the late 1700's, but gradually, little clues indicate that this is not a tale from our past but from a time yet to come. We learn that all of the children in this society have a cap placed on their heads at a certain age by mysterious towering tripods during a ceremony that is considered a passage into adulthood. We also learn that sometimes these "caps" fail and it turn the child into a "vagrant." When a few young boys decide they'd rather live as they are and not be "capped" they are forced to flee their tranquil town and begin a journey that will only end when the mystery of the Tripods is fully revealed. This is a wonderful and adventurous trilogy of books that is perfect for boys 7-11.